Have you ever wondered how popular color predictions are made? Drawing information from multiple sources such as fashion, housewares and even automobiles, color forecasters research and compile this information to determine what shades we'll be using most in the new year. 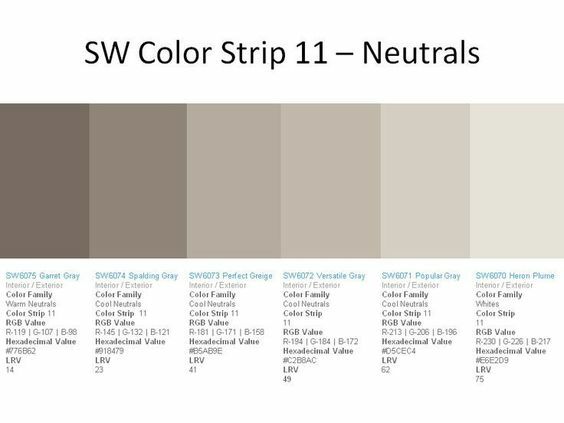 If a popular neutral is what you’re searching for, the cozy shade that Sherwin-Williams is predicting to define 2017 is Poised Taupe SW 6039. This color is described as “Earthen brown combines with conservative grey and the result is a weathered, woodsy and complex neutral that celebrates the imperfections and authenticity of a well-lived life”. On Pinterest, this is also known as “greige”, a hybrid of beige and grey, which comes in varying shades from light to dark. These muted tones are reflected in many of the new home plan designs in the Sater Design Collection. Take for instance the neutral metal roof and light gray tones of the "Birchley" ranch-style house plan. What new color palette appeals most to you? Check out all of the predicted trends for kitchen cabinet finishes, interior and exterior wall colors, and more on our popular Pinterest boards!